When the owners approached us, their brief was to retain the classical overtones and the sentimental aura of their previous residence. 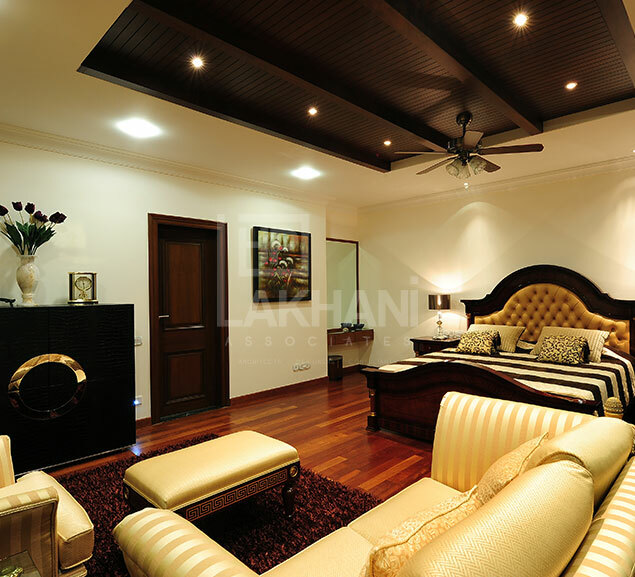 This residential plot housed their previous residence where they had resided for nearly two decades. 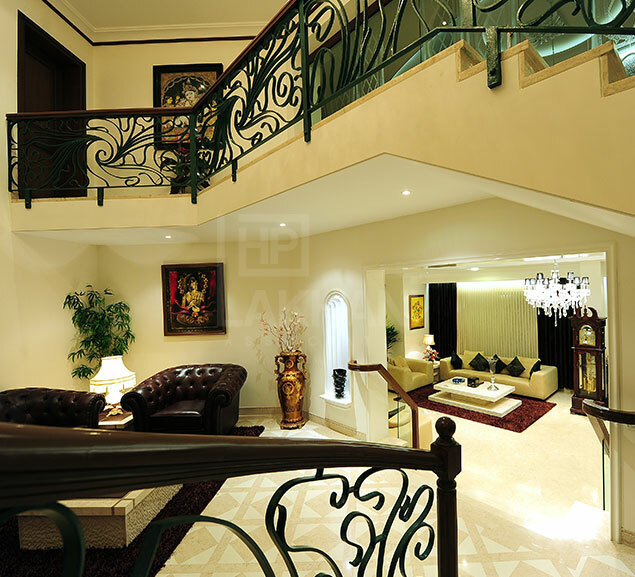 When designing, we made a conscious effort to balance the original ethos with a touch of modernity. 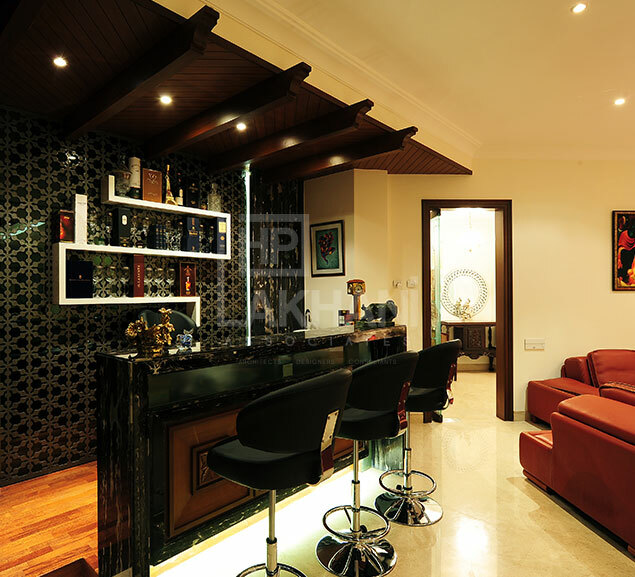 We incorporated a good eclectic fusion style incorporating contemporary elements with a classical essence visible in the false ceilings and chandeliers. 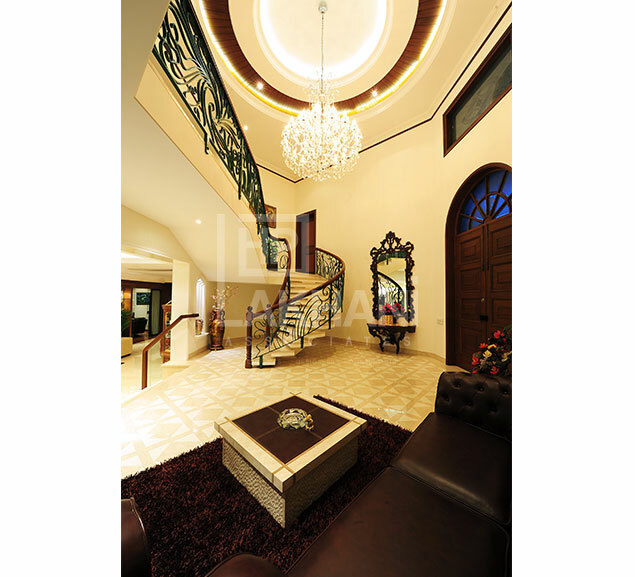 In the entrance foyer, a double-height curved ceiling with a traditional chandelier opens into a spacious living room that has been composed with four distinct seating arrangements. 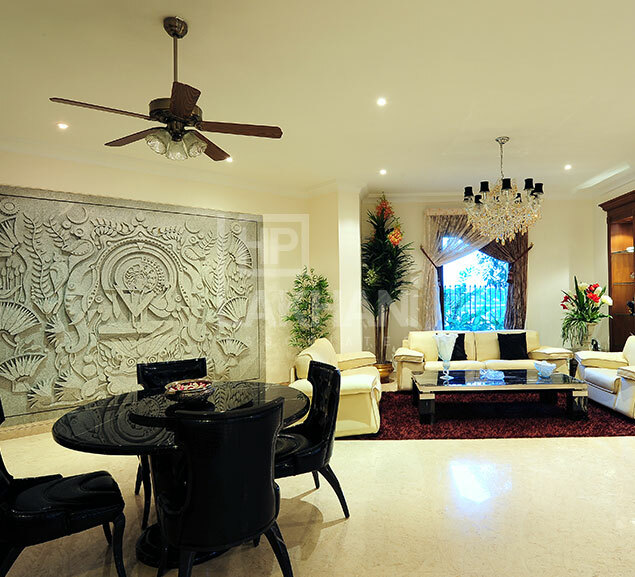 We thoughtfully injected this into the design so as to break the living room’s length and create visual dynamics. 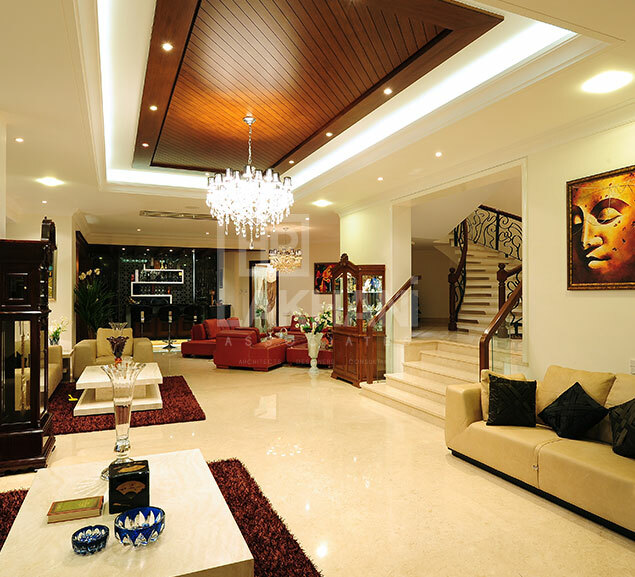 A formal dining area and home theatre complete the extended living room. 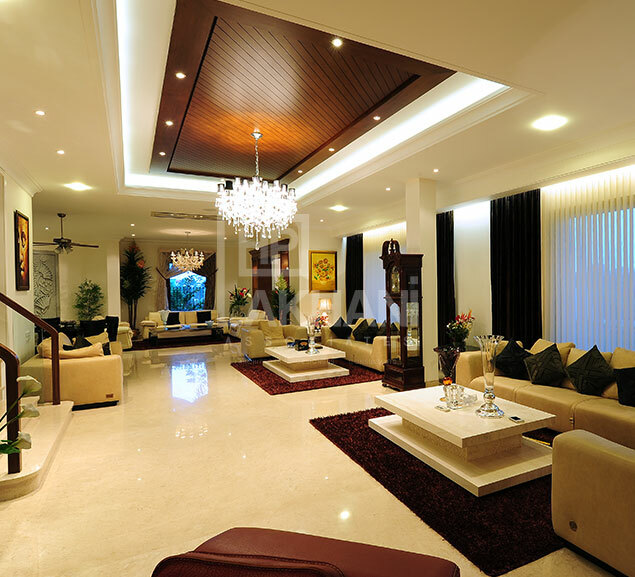 To add dimension to the floor plan, we gave it a 45 degree tilt on either side of the living area. 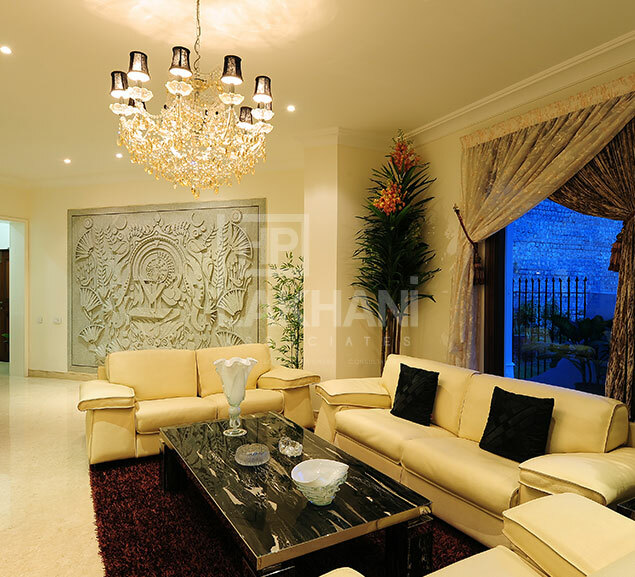 As the house overlooks the beautiful Taj Banjara Lake, the interiors were crafted in a way that views were unobstructed.